ATLANTA, January 22, 2019 - - Alta Gracia is pleased to announce that it has resumed its US and Dominican Republic operations after a brief hiatus. The company’s management team is moving forward on its energetic 2019 business plan and has begun notifying customers, suppliers, and strategic partners of its enhanced financial strength and new additions to its leadership team. Additionally, John Allen, founder of Ivory Ella, a successful online apparel brand that Allen founded while still a student at Temple University, plans to join the Alta Gracia team to spearhead its e-commerce efforts. Ivory Ella’s message of social responsibility and its robust e-commerce platform generated $28 million revenue in 2017, allowing the company to devote $1.6 million to its cause of wildlife conservation. (www.ivoryella.com) “John is an extremely bright and highly energetic entrepreneur who brings direct apparel experience to Alta Gracia,” said Morocco. “John’s breadth of experience leading Ivory Ella’s ecommerce marketing, product development and supply chain efforts will play a key role in our growth and success”, Morocco stated. 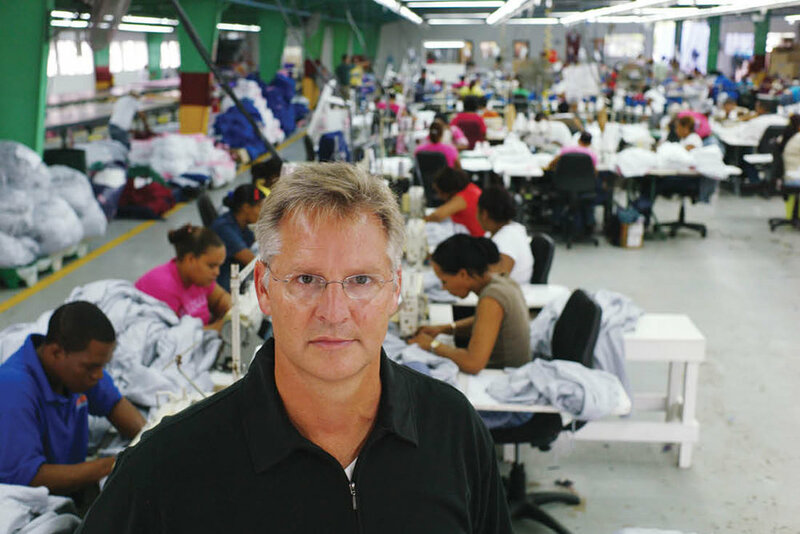 Factory Defies Sweatshop Label, but Can It Thrive?